Glaswegian Rose-Lynn Harlan (Jessie Buckley) has just got out of prison after a 12 month sentence. Returning home, she’s greeted by her mother Marion (Julie Walters), who has been looking after her two young kids. She takes a job as a cleaner, but all Rose-Lynn really wants is to go to Nashville to be a country singer. When her employer Susannah (Sophie Okonedo) offers to help, it seems that opportunities might be opening up, but also that life might get in the way of them. 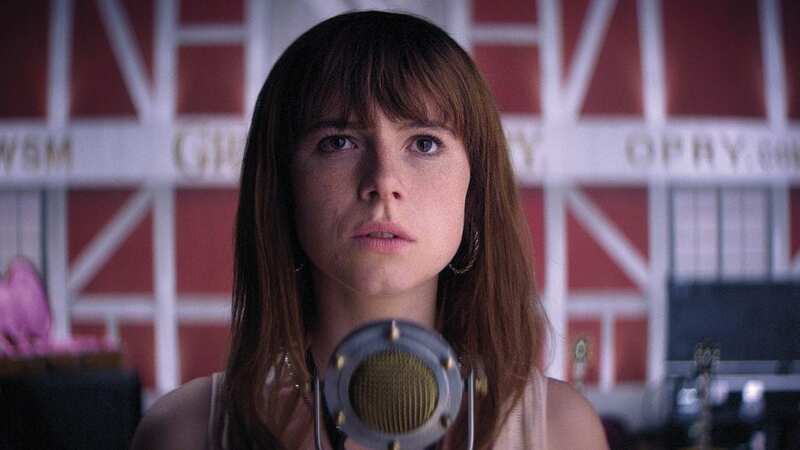 Seeing Beast at the London Film Festival in 2017 was impressive in many ways, but perhaps the most notable thing it did was to forcefully announce the arrival of Jessie Buckley. Buckley’s performance in that film was so raw it was like watching a character with a layer of skin stripped off, feeling everything in the most acute way. I think everyone in that audience knew they had just seen a character actress to be reckoned with. Everyone in Wild Rose‘s audience is going to know that they’ve just seen a movie star. Wild Rose is almost the polar opposite of Beast. While it doesn’t ignore the difficulties facing a single mother getting her life back after prison and trying to make her far off dreams real, it is at its heart a feelgood piece. As such, it demands very different things of an actress, not least a much more open performance. Buckley shows a very different side of herself, but she never loses any of the nuance. The most telling moments are often underneath what Rose-Lynn is saying. At one point Susannah asks if Rose-Lynn wants kids “yeah, just not yet”, she says. What Buckley does with that one tiny line is amazing; she lets us see that what she’s saying is true, but also that she realises that she doesn’t want to feel that way – that she does love her kids – and that she should have told Susannah that. All this plays in a brief flicker of a moment, and it’s just one of many that make what Buckley is doing here remarkable. The other side of the performance is also the other side of Rose-Lynn, the person she becomes on stage. Talking with people she can be prickly and direct, but music seems transformative and when she takes to the stage she explodes with life and joy. Buckley began in musical theatre, coming second in Andrew Lloyd Webber’s TV talent show I’d Do Anything, so she’s doing all her own singing here (and also co-wrote several songs for the soundtrack with screenwriter Nicole Taylor) and she has a beautiful voice that is perfectly suited to country music, capable of both grit and delicacy. It is impossible in these moments not to get swept up in Rose-Lynn’s dreams. Buckley’s extraordinary performance does most of the film’s heavy lifting. She’s surrounded by a strong cast, but it has to be said that even the major supporting characters aren’t as nuanced as Rose-Lynn. 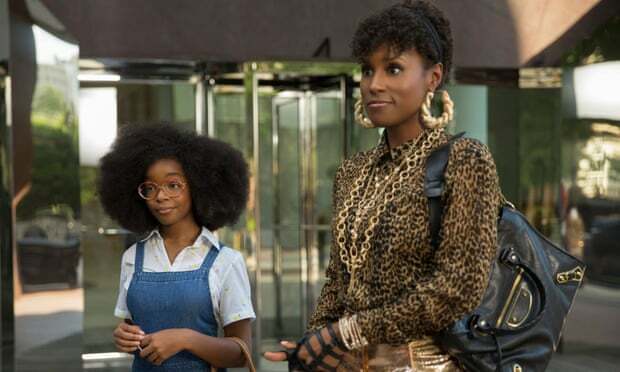 Sophie Okonedo has one of the film’s harder jobs making Susannah, who is written as so nice as to be almost unbelievable, a credible character. She carries it off with a performance of simple warmth. More one-dimensional is Jamie Sives as Susannah’s husband, who largely looks on from the background with – at least initially – somewhat justified suspicion at Rose-Lynn’s motives. Better written is Julie Walters’ role as Rose-Lynn’s mother. Walters plays her as someone who either only ever learned the tough love method of parenting or who has, having had to care for her grandchildren and deal with her daughter being in prison, been driven to it by being at the end of her tether. The writing is good here, having Marion be a down to earth counterpoint to her dreamier daughter but, in some moving moments, not want to step on those dreams. Nicole Taylor’s screenplay both follows and evades convention. The originality is often in the things the film doesn’t do: a tearful speech from the stage when you’d expect it, an enthusiastic yes to something that seems like it could lead to a career break. However, it’s also in the way Taylor weaves detail, both in the drama and the dialogue, which has a specifically Glaswegian feel (Rose-Lynn explaining her sentence to her kids: “I wasn’t bad, I was a fanny”). Director Tom Harper wisely doesn’t overcomplicate things. The sequence of Rose-Lynn imagining a band playing with her as she sings along to her headphones on her first day cleaning at Susannah’s house is more effective for being brief, and he’s not over-reliant on musical montages, which are an easy crutch in this kind of film. The performances all have a different flavour, from the celebratory one at Glasgow’s Grand Ole Opry to the moment late on in the film that makes that early fantasy of the band appearing real. Harper has an equally strong command of these moments and for the drama. Like Buckley, he knows when the film needs its moments of quiet. It may not be perfect, but I can’t imagine anyone coming away from Wild Rose without a big smile on their face, a tear in their eye and the intention to go down a YouTube hole discovering country music.